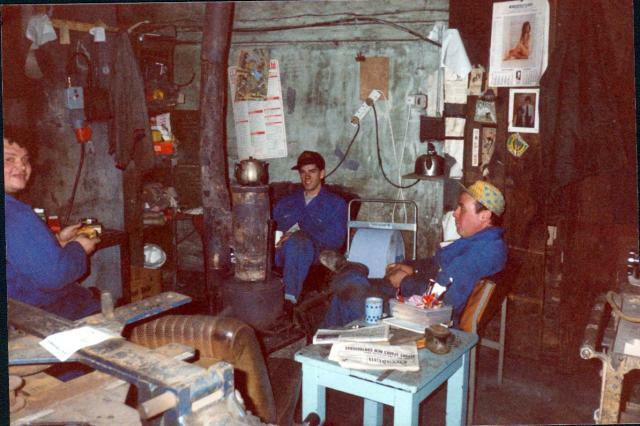 All mod-cons - easy chairs, central heater with teapot at the ready, local and daily papers and the decorative wall hangings - what more could workfolk want! Like the electrics in the background - anything to do with you Alan???? Don't think so as you do a mean electric job.